"Buprenorphine is a safe and effective treatment that decreases deaths due to opioids and stops heroin and other opioid use. 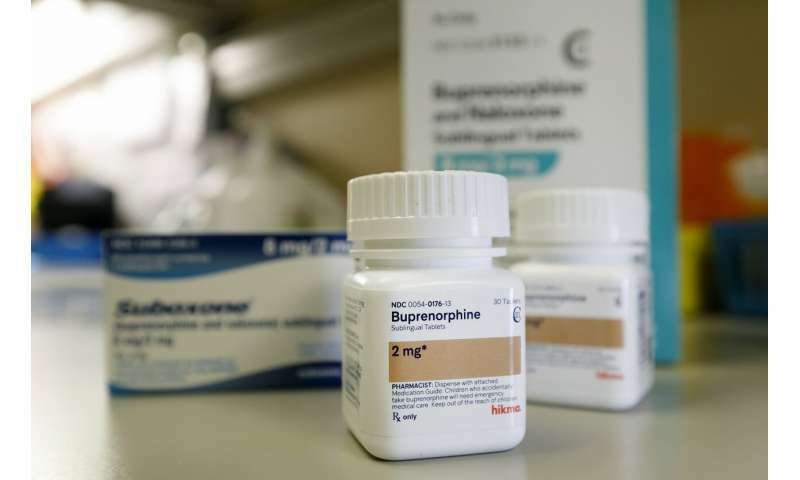 People on buprenorphine are able to get their lives back together," said co-author Todd Korthuis, M.D., M.P.H., professor of medicine (general internal medicine and geriatrics) and public health and preventative medicine in the OHSU School of Medicine. "Medicare insurance companies are making it increasingly difficult to prescribe buprenorphine while making it easy to prescribe opioid pain medications that contributed to the opioid epidemic." Researchers from OHSU and the OHSU/Oregon State University College of Pharmacy analyzed publicly available formulary files maintained by Medicare Part D prescription drug plan. They focused on evaluating the rate of pre-authorization requirements because it's a commonly used practice that insurance companies use to manage or limit access to certain drugs. "Prior authorization policies are commonly used to control costs or manage pharmacy utilization, however they can also disrupt or delay treatment for individuals who are vulnerable to relapse," said lead author Daniel Hartung, Pharm.D., M.P.H., associate professor in the OHSU/OSU College of Pharmacy. "Access to buprenorphine is vital within the Medicare program because Medicare has not historically covered methadone, which is the other opioid agonist indicated for opioid use disorder." "The reasons for restrictions on buprenorphine might reflect inaccurate perceptions of drug risk, societal norms related to the stigma of addiction, or financial considerations," the authors write. "Many people still believe that medication treatment isn't really recovery," Korthuis said. "Overwhelming scientific evidence supports that medicines like buprenorphine are far more successful and safer than abstinence-only approaches. Buprenorphine saves lives. Abstinence-based approaches don't."